Djimet Seli – “ Je suis Hadjeraï ” et puis ? 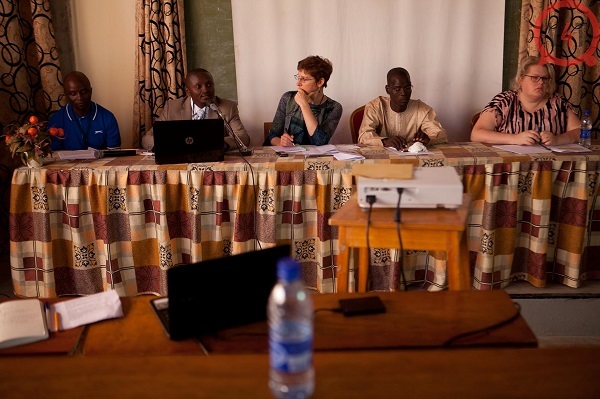 The Virtual Communities: Empowerment panel was introduced, chaired and translated by Marie-Soleil Frère, a long-standing ‘collaborator’ of our project (In February 2013Marie-Soleil was one of the first guests in our Tuesday Seminar Series!). The panel was built up of four presentations covering three different countries in Central Africa: DR Congo, Chad and Nigeria. The first two presenters, Olivier Kahol and Michel Bisa Kibul (linked to the Mobile Money project coordinated by Inge Butter) touched upon the ways in which virtual mobility surmounts physical immobility. The first example involved long-distance petty trade of liana leaves made possible by mobile banking. The second fascinating example revealed the traffic and use of mobile phones within the walls of the infamous Makala prison in Kinshasa: like a public secret, everybody knows about their presence, but no one dares to speak about it. Thanks to the mobile phone, flows of money and information, among others, are made possible, despite the lack of infrastructure or the restriction of movement (due to confinement). 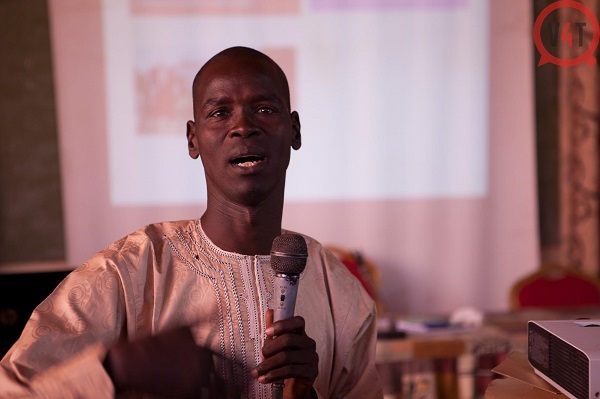 Djimet Seli stated that Facebook was by far the favourite social media of the Hadjeraï (in Central Chad), he argued that it enables legal and peaceful forms of protest. Inge Ligtvoet’s presentation took us across the Francophone-Anglophone divide and elucidated the role of humour in the Nigerian online and offline contexts. As in Seli’s example, social media, in this case, humour, canalizes protest in non-violent ways. Next, to being a form of everyday resistance, humour in Nigeria acts as a mechanism of relief and, even though social media brings about division and mockery, it can also foster unity. This contribution will focus on the issues of long-distance trade relationships at a distance, in particular on long-distance petty trade and on the commercial networks and communities set up by the various partners in this type of business. We consider these traders as both ‘actual’ trade networks and virtual trade communities. Why ‘virtual’? We consider them ‘virtual’ because they are not living in the same geographical area, but suppliers and clients are located remotely from one another. Most of them never met physically, but are communicating through mobile phones. Therefore, to move or transfer money, they do not physical money, but tools such as the mobile financial services of Mobile Banking, through which e-money flows. We will build on the example of the remote trade of the liana leaves in Congo between the city of Kinshasa and the city of Kananga in the Kasaï region located some 1000 km from each other. We will analyze the case of a ‘virtual’ trade community set up by the suppliers of these liana leaves in Kananga and their customers, female semi-wholesalers working in the city of Kinshasa. The ethnographic data we have collected will also be used to assess the constraints associated with the use of mobile phones and Mobile Banking in this activity as faced by these tradeswomen, who have generally a very low level of school education and whose activities have generally a very modest size. We will try to demonstrate how the advent and use of mobile phones, as well as the mobile financial services of Mobile Banking, have transformed the work and profitability of this trade network on one hand, and how they contribute in our opinion to the formation of a trade community that is both ‘real’ and ‘virtual’ on the other hand. Olivier Kahol from Connecting in Times of Duress on Vimeo. This communication aims to review the relation between ‘connectivity’ and the ‘functioning of virtual communities’ through financial mobility using mobile phones. We will first look into the problems faced by the users, the owners and the operators of Mobile Banking in terms of inter-operability and interconnection, by reviewing the example of a mechanism known as ‘Cash Coin’, which was the focus of our observations during a field trip. Indeed, the ‘cash coin’ mechanism, that was set up to allow inter-operability between the mobile financial services of competing mobile phone operators, is facing difficulties in its implementation. But above all, is being diverted from its official purpose of local money transfer and turned into a cross-border money transfer mechanism. Next, we will try to assess the capacity of mobile financial services to connect people beyond the constraints linked to their status as inmates. Indeed, our field observations in Kinshasa of the interactions between the inmates and people outside detention centers suggest that the users of mobile financial services put in place mechanisms that divert them from their original purposes on one hand, and on the other create virtual communities that create possibilities for connection and interconnection between the two sides of the prison walls. 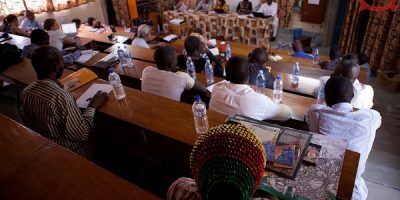 This is the case of some prisoners in Kinshasa, who manage to set up virtual communities permanently connecting them beyond prison barriers to people living outside the prison. Through these mechanisms, they are also able to conduct petty trade activities, with clients from inside the prison and suppliers from outside the prison. Through these two case studies, we will look into the potential of production of virtual communities and of the connectivity of financial services using mobile phones. Michel Bisa Kibul from Connecting in Times of Duress on Vimeo. “I am Hadjeraï”, so what? The advent of social networks on the Internet, in particular Facebook on mobile phones, has turned the latter into a means of mass communication for the youth, outside the control exercised by the State on other media such as radio and television. Facebook on mobile phones offers to the youth, many of whom are still not using a computer, a shortcut to the world of ‘globalized information’. 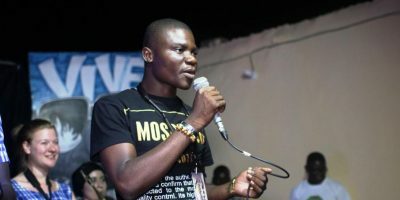 This mass communication function offered by Facebook has led to the creation of a virtual community of young Hadjeray, united not only through the link that ties them to the same region of Guéra, but also through the troubles that undermine their identity. These troubles are the topic of information sharing and debates taking place in closed discussion fora on Facebook. Hence, we saw lately many of this virtual community replacing their profile picture on Facebook with “I am Hadjeray” to reassert their identity, expressing compassion for the student victims of the repression by the law enforcement in a high school of Mongo, and threatening to take action. But as time went by, no action followed this virulent discourse. 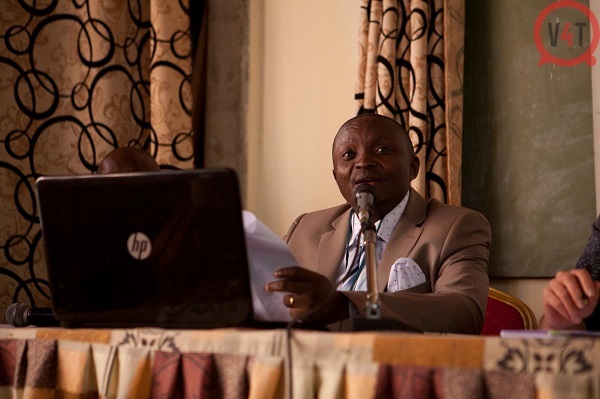 This paper, based mainly on participatory observation in a closed discussion group on Facebook, seeks to demonstrate, first of all, that social network is a powerful vector of unification of young people belonging to the same space beyond distances, despite the difficulties of connection and the censorship of internet in Chad. Secondly, that social networks maintain a discourse of revolt among the youth. Thirdly, that social networks in Chad are for the youth only a space to give vent to their frustration, as the threats made on them are never turned into concrete actions, unlike what happened during revolutions such as the ‘Arab Spring’. Djimet Seli from Connecting in Times of Duress on Vimeo. When over 200 girls were kidnapped from Chibok in Nigeria in 2014, it was the First Lady that became the centre of satirical attention and parody. Most Nigerians found her dramatic performance on television laughable. It became an iconic speech of which parts ended up in Nigerian vernacular English. Parodies, memes and other online viral jokes preceded the harsh criticism on the response of the government brought about by the hashtag #bringbackourgirls. 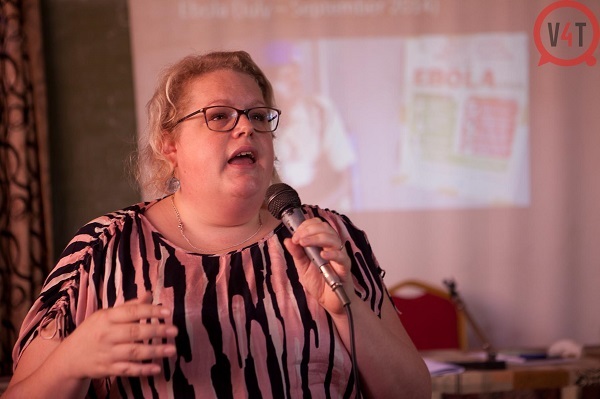 Similarly, during the short-lived ebola health crisis in Nigeria, many ‘funny’ messages were sent around through Whatsapp, Twitter and Facebook, increasing awareness on the prevention of infection, as well as providing some much sought after comic relief. Mbembe and Roitman (Mbembe and Roitman, 1999) argue that ‘laughter is inseparable from the fear inspired by the immediate present’. In this paper, I argue that during times of imminent crisis and in daily encounters with an ill-functioning state system, humour plays an important role in people’s social response to experienced hardship. This is mostly visible in online discourse, which is reflected in offline conversations (and vice versa). Although the study of humour as agency in Nigerians’ engagement with the state has been studied before (Obadare, 2009), the increasing appropriation of social media in the country alters its scope and speed, which makes the study of the phenomenon evermore relevant in understanding current civil society. This paper is based on research done in the virtual. Viral social media posts, often addressing socio-political issues, were collected on Facebook and WhatsApp and form the basis of what is understood as humorous discourse in this paper. These viral posts often found their way into everyday life in Nigeria, on the street and in (family) gatherings, and also reached those not (often) online. Vice versa, offline jokes and tales found their way into the virtual world (Yeku, 2016). By analysing the online discourse and contextualizing it through ethnographical fieldwork among the users of social media in south(east) Nigeria, this paper seeks to argue that (online) humorous discourse is a window to understanding duress and the ways in which people navigate the uncertainty of Nigerian society. Not only does humour serve as an alternative space for (political) resistance, through political cartoons for example, it also serves as (self-) critique of society as a whole and contributes to increased socio-political awareness among citizens. Inge Ligtvoet from Connecting in Times of Duress on Vimeo.